Everyone gravitates to the aroma of a freshly brewed coffee. Let us help you to create a memorable corporate event or create more foot traffic to your next trade show stand or exhibition. Our mobile Coffee Carts and Coffee Kiosks are available now for your next Conference, AGM, Trade Show or Special Event. NZ Coffee Carts Coffee can cater for between 50 to 50,000 guests, either in-doors or outside. We have rebranded our events service to the NZ Coffee Cart Company. 1. What kind of coffees do you serve? We use only the highest grade of green coffee beans. We then use our own signature roast of seven selected bean varieties, to give a truly smooth and satisfying coffee. 2. How many people can you cater for? We can cater for groups of between 50 to 50,000 plus people. 3. Can you set up inside or outside? Yes, we can set up both indoors or outdoors. For indoors we use our own custom made coffee stations, and for outdoors we have a fleet of custom made, self-contained, coffee trailers. 4. How big an area do you need to set up in? Our smallest indoor coffee station can be set up in a space that is 1.2 metro by 700mm. This coffee station can be wheeled through a regular sized doorway into your office or meeting room. 5. How long does it take you to set up? We can normally be set up and serving, the first cup of delicious Johnny Wrayâ€™s Coffee within 45 minutes from our arrival at your office or venue. 6. What kind of power supply do you need? For indoor events we can run off of a regular 240volt power outlet. Our outside coffee trailers can run off either a regular 240volt power outlet, or from a 5 pin 32amp power outlet, which is found at most commercial venues, stadiums or show-grounds. We can also provide our own power using our own quiet, stand-alone generators. 7. Do you need a water supply? No. We are fully self sufficient and will supply our own supply of freshly filtered water. 8. Can we add our own signs and branding to your coffee carts and coffee kiosks? 9. What kind of cups do you use? We use compostable double walled high quality insulated paper cups. 10. How big are your cups of coffee? Our regular coffee cup size is 8 ounces, which ensures a well-balanced cup of coffee every time. 11. Can our guests pay for their own coffees? Yes. We have mobile EFTPOS machines and a cash register that we can use at any venue or location. 12. If we hire you to serve coffees to our guests, how do we pay you for those coffees? We prefer to prepare a quote for you before the event. You can then raise a Purchase Order to confirm the event booking. Once the event is completed, we will invoice you, and payment in full, is due within 7 days. 13. How do we book NZ Coffee Carts for our next corporate or special event? John George Wray was a true New Yorker. Born to an American father and an Italian mother, he grew up in New York City in the early 1900â€™s, working in the family trading business and supplying coffee beans from Caribbean to the boom of New Yorkâ€™s CafÃ© Society. Johnâ€™s father George owned a small fleet of trade ships that worked the coast of the United States and the Caribbean, mentoring his hard working son who eventually took command of his first trading vessel at the tender age of 18. In his later years, George Wray downsized the business into just one magnificent vessel, The Isabella, named after his dear mother. Johnny took the helm of The Isabella, with its boat speed he was able to beat the bigger square riggers of the day. Riding the Caribbean trade winds, he was always first to arrive for the pick of the crops of the coffee bean harvest, then beat them all back to New York with the first supply of coffee. The coffee trade boom of the 1900â€™s brought in fierce competition. Johnny needed a point of difference to sell his stock for a good profit. With his Italian background he had in his possession something no one else could acquire for any price, his mother Antoniettaâ€™s roasting technique passed from generation to generation. 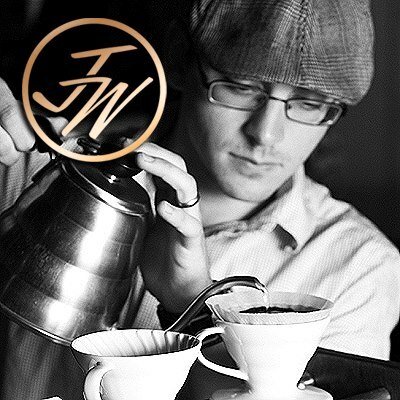 With his passion for great coffee, he went on to create the most superior Italian coffee blend and founded the famous Johnny Wrayâ€™s Casa del CaffÃ¨. Because of Johnnyâ€™s likeable charm, and unique Italian blend in both coffee and character, Johnny Wrayâ€™s became a household name throughout New York in the 1920's. The spirit and the culture of Johnny Wray is now saluted here almost 100 years later. Experience a little bit of the legend, culture and characterâ€¦ nurtured and delivered to you in every cup.